You can also use your credit card through Paypal. 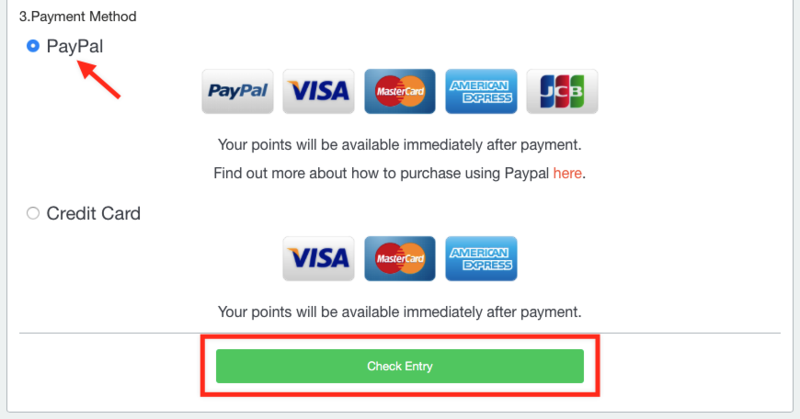 Paypal accepts VISA, MasterCard, JCB, and American Express amongst others. 2. 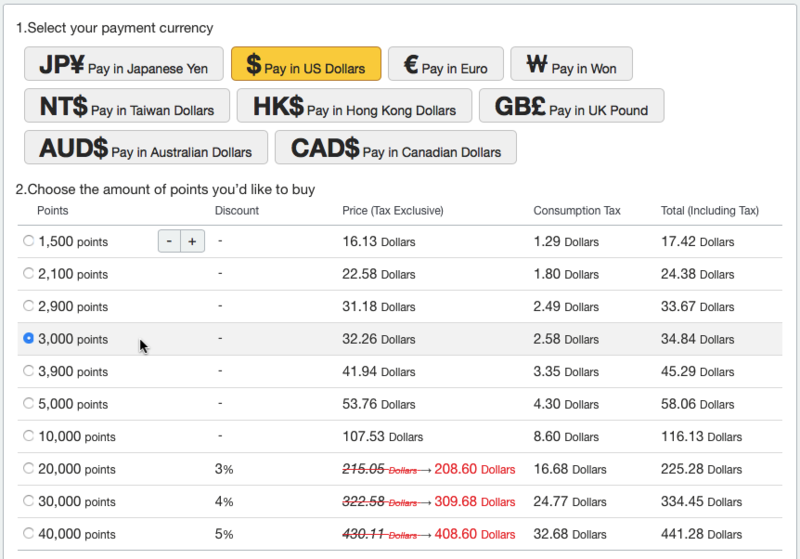 Select your desired currency and the amount of points you'd like to buy. If you already have an account, you can login and make a purchase from the next page. If you’d like to make a new account, please register first, and then make a purchase.